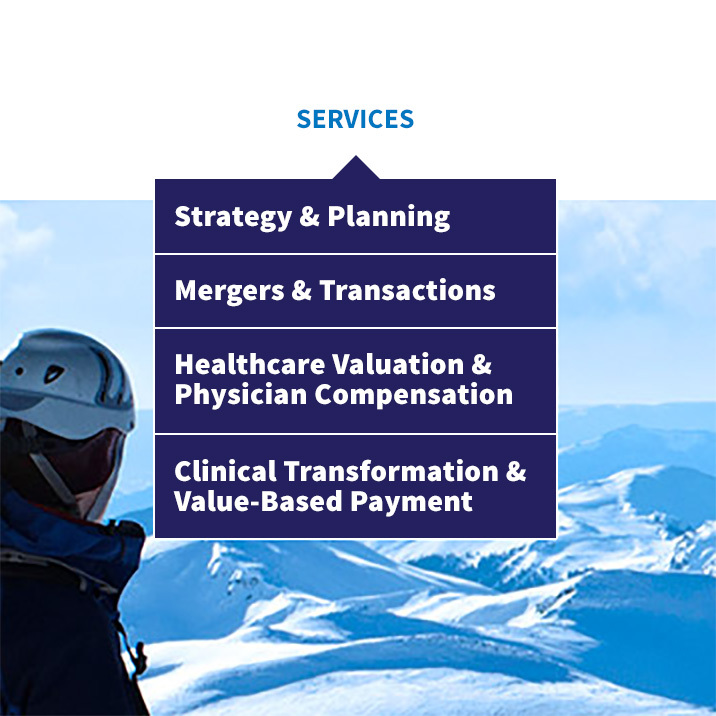 When our longstanding client merged with another established firm in the healthcare consulting field, Veralon was born. So, too, was a need to wrangle not only an expansive library of great content, but combined services that could have been organized into 7 or 8 different divisions. Clearly that was too many to be manageable by site visitors. Bundles were devised that organized all services into 4 distinct lines that made sense from their prospects’ point of view. Site navigation ovcerall was similarly streamlined and organized with the various audience segments of their target market in mind. 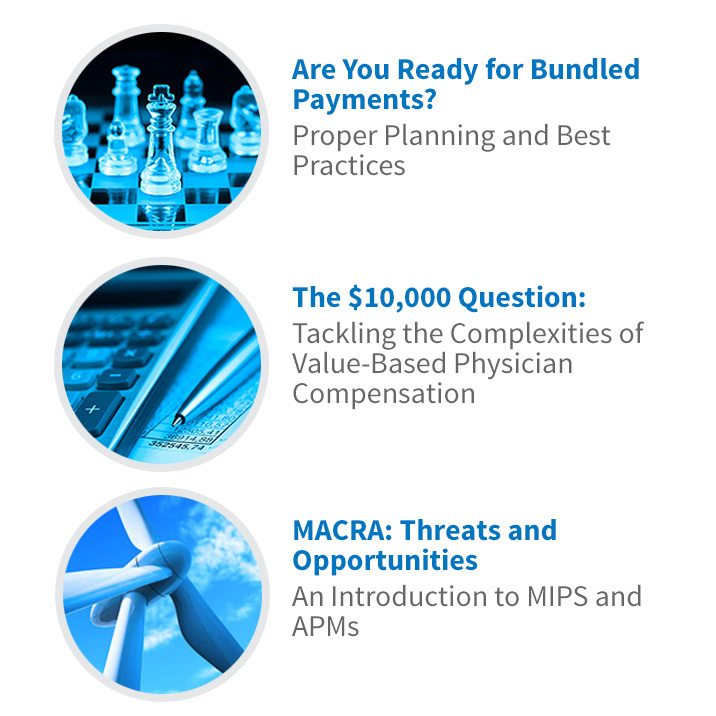 Those segments include not just a variety of client organization types (ranging from large medical practices to major regional medical centers) but also different roles within those organizations. 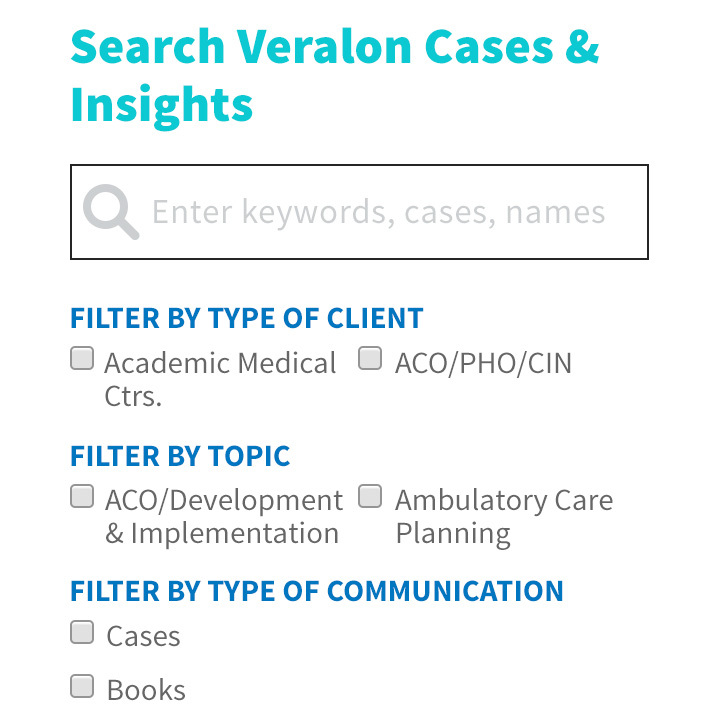 To appeal to each, Andigo created a multi-faceted search and filtering tool for their resource library along with sidebar content that suggests library materials based on the main content of each service page. A segmented email marketing tool was also created and integrated into the site.